Because they hold their heads up high. 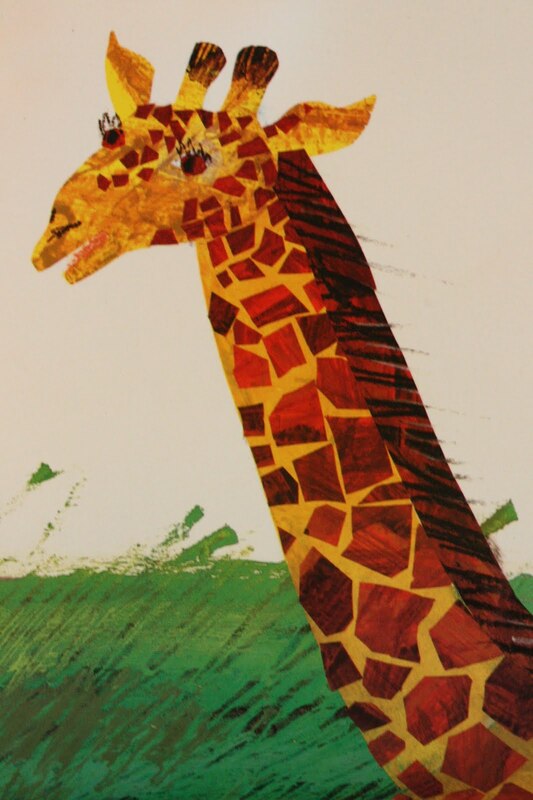 Because their necks stretch to the sky. Because they're quiet, calm, and shy. Because they run so fast they fly. Because their eyes are velvet brown. Because their coats are spotted tan. Because they eat the tops of trees. Because their legs have knobby knees. One of our daily classroom jobs is called the Poem Picker. This child picks a poem from one of our many poetry books to be read during our Closing Circle. Last week, one of the children chose this one, and I giggled to myself at the synchronicity. 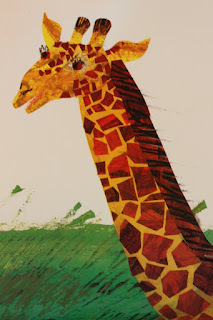 Giraffes and Eric Carle? The perfection was scrumptious.